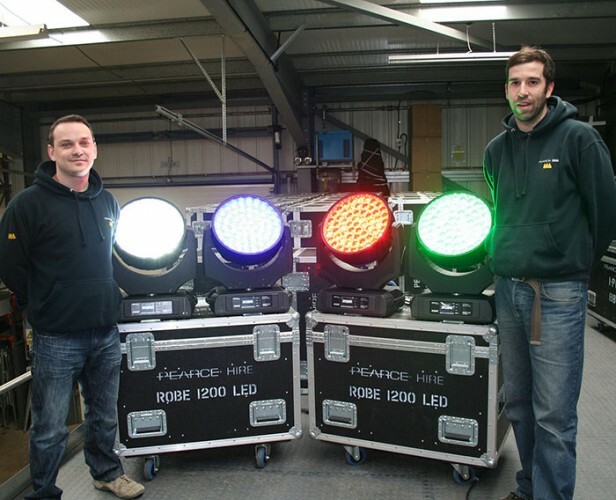 Busy UK technical production specialist and rental company Pearce Hire has invested in 36 of Robe’s LEDWash 1200 fixtures which have been added to its hire stock. It’s the first Robe purchase for the Peterborough, Cambridgeshire based company that provides lighting, audio, power, rigging, staging and draping to numerous events embracing multiple sectors. Pearce Hire project manager Dan Shelton explains: "We needed an LED moving wash light and tested and compared several brands, in the process discovering that Robe stood out above all of the rest in every aspect – brightness, beam spread, colours, speed, zoom, etc.". Apart from that, he explains, the decision to go with Robe was also in response to an ever-increasing amount of specs now requesting the brand. He reckons that the LEDWash 1200 is ‘rider friendly’ for the majority of Pearce Hire’s production projects and also an ideal cross hire item. Having the LEDWash 1200s on-board has enabled them to replace tungsten lightsources on specific jobs, lowering power consumption and reducing running costs. Additionally, Dan comments that the service from Robe UK is "exceptional", and that while the LEDWash 1200s initially sold themselves, Robe UK’s Ian Brown assisted throughout the selection process and was always happy to demo different fixtures and allow Pearce to conduct their own shoot outs with competitor products. Once the purchase was completed, the premium service from Robe UK has continued to impress. "They are very knowledgeable and always there to help with any queries," confirms Dan. Dan thinks that Robe technology is developing rapidly and making "our lives continually easier" with new and inventive features like the battery unit in the LEDWash 1200, which accelerates precious prep time for events and enables crews to address and set the mode of the fixtures without needing to power them up. Pearce’s technicians also love the new LEDWash units because they are lightweight, easy to rig and can be paired if necessary in situations challenged for power. Due to the wide beam angle and efficient coverage of the units, they are often finding that fewer fixtures are needed for a given situation. 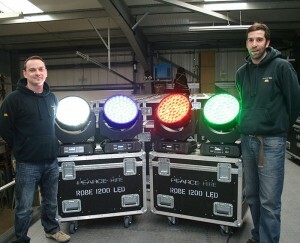 Overall, Pearce is delighted with its LEDWash 1200s and future Robe investments are definitely ‘on the cards’. In picture: Pearce Hire’s hire manager Jamie Arkless and project manager Dan Shelton with some of the new Robe equipment.